Peanut Butter Banana Smoothie | how 'bout some cake? It’s no secret by now that I use smoothies to sneak spinach into my diet. A couple weeks back I tried this recipe I pinned from one of my favorite bloggers, Iowa Girl Eats. Since a banana with peanut butter is one of my favorite snacks, I thought I was sure to love it. I thought it was tasty, but not as satisfying as “the real thing.” It’s worth the trade-off nutritionally, though. 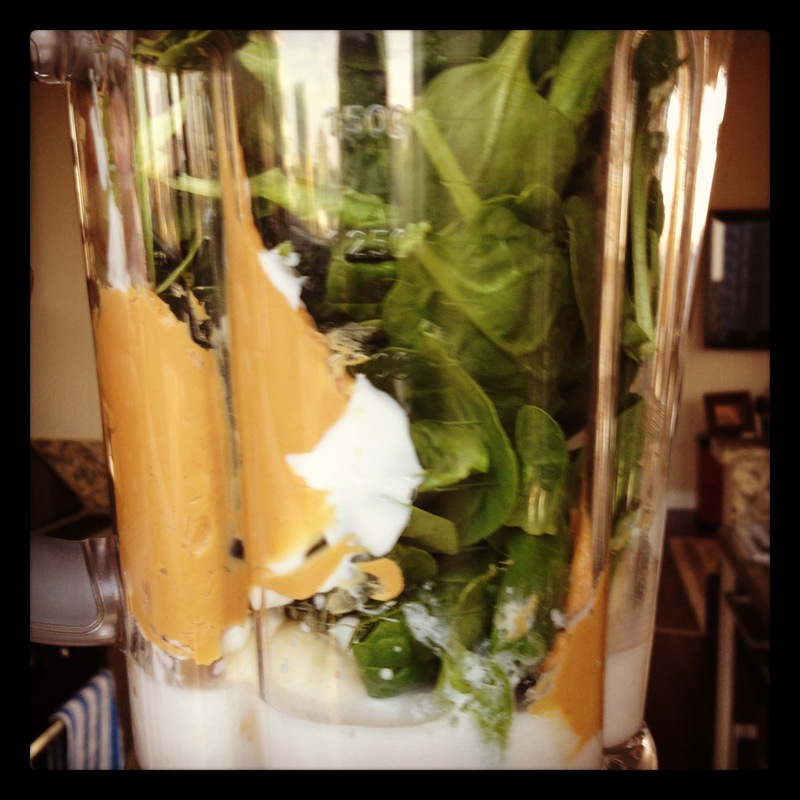 In addition to being packed with spinach, the greek yogurt adds extra protein. And we all know how important that is. Give it a try and let me know what you think! 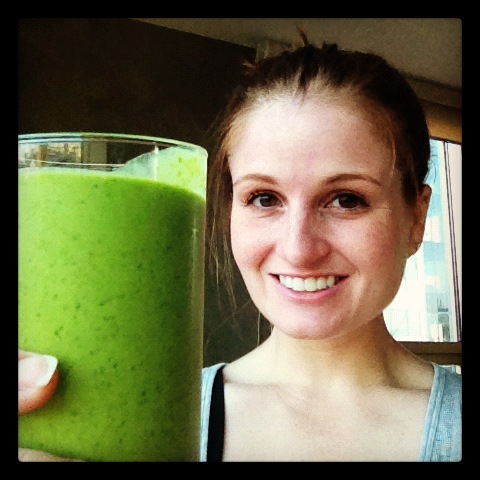 Or check out my favorite smoothie recipe here. This entry was posted in Food & Recipes, Healthy meals & snacks and tagged healthy recipe, healthy snack, peanut butter banana smoothie, recipe, smoothie. Bookmark the permalink.